Alloy 7075 has been the standard workhorse 7XXX series alloy within the aerospace industry ever since. it is a high strength alloy using the beneficial effects of the alloying addition of chromium to develop good stress-corrosion cracking resistance in sheet products. Alloy 7075 has been thoroughly evaluated for corrosion resistance of atmospheric weathering, stress-corrosion cracking and exfoliation in all currently available tempers. 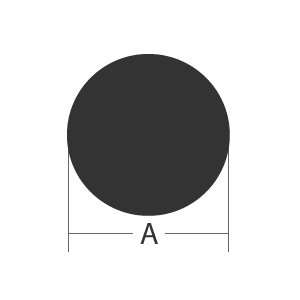 These values have been used as a standard for comparison in the development of more recent high strength aerospace alloys and used for highly stressed structural parts in the aerospace and defense industries, and as mold material in the plastics industry. 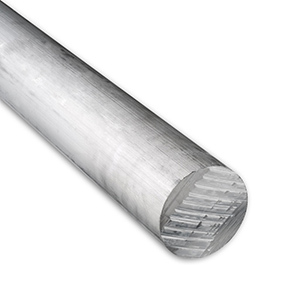 In addition to the above qualities of the Aluminum Round Bars alloy 7075, T7351 temper offers improved stress-corrosion cracking resistance. Application and uses for Aluminum alloy 7075-T7351 are: Aircraft fittings, gears and shafts, fuse parts, meter shafts and gears, missile parts, regulating valve parts, worm gears, keys, aircraft, aerospace and defense applications.